It’s easy to take salt for granted. Many of us tend to shake the generic table variety into our dishes without much thought. But just wait until you try Falksalt. This pure sea salt is naturally unrefined and harvested by hand from the Mediterranean Sea.The evaporation process can take up to two years to achieve the proper texture and flavor – but this extraordinary seasoning is worth the wait. It’s salty, not bitter, and the purity of the sea salt flakes translates into a light sweetness that enhances the flavor of your favorite dishes. 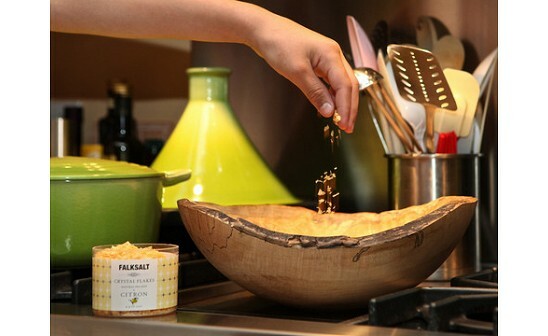 In fact, Falksalt’s flake salt is more flavorful than ordinary table salt, so you don’t have to use as much. It has less sodium, too. Falksalt is part of a family business that has been trading, producing, and refining salts in Sweden since 1830. Its natural flakes are 100% pure sea salt. The company also specializes in flavored sea salts including Citron, which pairs salt flakes with a citrus flavor that’s great for fish, vegetables, and pasta. The Rosemary blend adds a fragrant, pine-like flavor that’s ideal with grilled meats, potatoes, and bread, and Garlic enhances the salt flakes with the pleasantly pungent flavor of garlic. Chefs around the world swear by Falksalt, and we’ve been won over by these chunky, textured flakes, too. Falksalt is definitely worth its salt. My name is Matt Garavaglia and I’m a salt addict. I have been addicted ever since I tried FALKSALT. FALKSALT has been a household name in Europe since 1830 and it’s our goal to become the premium sea salt choice in America! FALKSALT is a finishing salt that consists of delicate pyramid shaped falkes that are ALL NATURALLY INFUSED WITH FLAVORS! I’m confident that once you try a pinch of FALKSALT you’ll be hooked…then you can tell all your friends that you got FALKED up! HAHA! I love it! Matt your description is extremely funny and witty! I've tried the salt, there simply is nothing else like it on the market today. I have all the flavors, I'm just waiting for the Wild Garlic to come to my local store. I can honestly say I got FALKED UP!!!!! Keep up the great work! I absolutely love this salt and the article above! 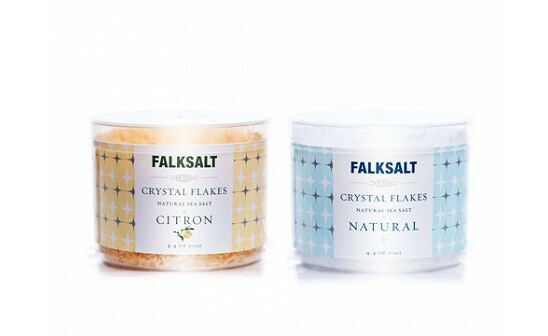 Falk salt is so versatile and easy to use. I make everything from dinner to dessert with it. Try the smoked flavored in the bottom of a small bowl with butterscotch pudding layered on the smoke salt topped with Whipped cream. Even the citron on the rim of a fine margarita! Its visually stunning! Thanks Falk Salt for the wonderful product!! I'm excited to be here to answer any salt questions that you may have. Thank you to all the wonderful people at the Daily Grommet. The video is phenomenal! My husband recently brought all of the flavors home when he went to the store. I can honestly say that each flavor, especially wild garlic and red chili, have made some of our everyday meals have a little more kick. We aren't sure of a fun way to use the Citron though...any ideas?? Citron is great on seafood, it adds a hint of lemon. It also adds to the presentation. As someone who does not know their way around a kitchen too well, I must say Falk Salt is a life saver! We have a spice rack in our kitchen with about 50 options to choose from and it can be very overwhelming. I've learned that with Falk Salt I can't really go wrong. The subtle flavors always add a nice accent...even to Kraft Mac n Cheese! 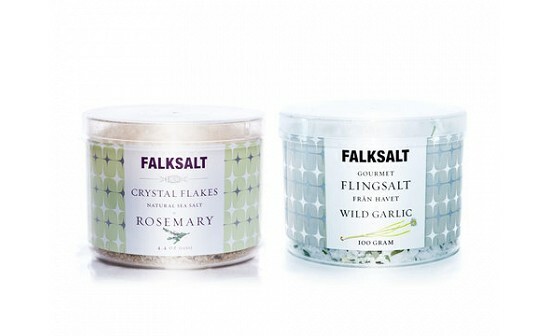 Would you use these salts while the food is cooking or when it's done and being served? Falksalt is a finishing salt. The best application is to take a pinch, then crush it between your fingertips and sprinkle on your food. You can do this either a few minutes before the food is done or right before you serve. Some of the flakes will melt into the food, and some will hold their shape. This gives an added depth of flavor and texture. @Lorie, my favorite cook (aka my husband) used the Citron on pasta with sauteed shrimp and veggies as we were testing the salts, and it was amazing. It brightened the dish with that lemony citrus flavor, but it was subtle and delicious. Just a little sprinkle of the crushed flakes, as Matt suggests, was perfect. It would also be great on grilled seafood. Great Video! It definitely helps those who wouldn't know what to do! I used the Wild Mushroom is a French Onion soup the other night. Just sprinkled it on top of the melted mozzarella. It was delicious! This 4 pack is going to be great for a holiday giveaway! Hey Matt..i am always trying new seasoning and flavorings with my clients who are adopting healthier lifestyles. Many are just learning to cook with spices and think that ordinary salt is the only salt. For many, eating healthier, and using spices, including sea salt is a life changing experience. Thank you for your candor and personal attention to all of the comments. How wonderfully fortunate to hook up with THE GROMMET...i look forward to sampling Falk salt...i will try it with a sense of confidence because of your instructions...the 4 pack sounds like a great option. The four pack, that The Daily Grommet is offering, consist of our most popular and versatile flavors. All of these salts will help you add a pinch of gourmet to your everyday meals. The sample pack is a great addition to every kitchen and we promise, once you try them…you'll be hooked! My wife is so into salt that she regularly keeps three or four kinds around. We never have a salt shaker at our table, since the salt she likes doesn't fit through the tiny holes. Also, she tells me that she can taste the iodine and doesn't like it. So, I'm looking forward to giving this to her! I love finishing salts and use them ALL the time in my cooking! * Post edited to comply with our no advertising policy. If you have a great product that you would like to share, please click the 'tell us' button above and we will research it and may feature it as a Grommet! When I use up some of the many sea salts that I have, I will replenish with this but WHAT ABOUT THAT BOWL? Where did it come from? It's beautiful. @Yvonne - it is beautiful, isn't it!? That's a Spencer Peterman bowl handcarved from spaulted maple. You can see the Spencer Peterman Daily Grommet feature by clicking here. I have no issue with this product - I just used the rosemary to season a turkey. 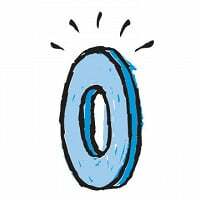 However I thought the Daily Grommet offered at least fair pricing - if not discounted ones. I paid $3.99 apiece for the Falksalts at Fairway so 4 for $24 doesn't seem fair at all. @Sid massey: Thank you for letting us know. As you said, we expect to be selling at or below what other online retailers are selling this product for and so we need to investigate this further. Update - we did some further investigation and adjusted our price to again be the lowest on-line price for this product. The Fairway price may have been a promotional or overstock situation and we are unable to match that price. It’s easy to take salt for granted. Many of us tend to shake the generic table variety into our dishes without much thought. But just wait until you try Falksalt. This pure sea salt is naturally unrefined and harvested by hand from the Mediterranean Sea.The evaporation process can take up to two years to achieve the proper texture and flavor – but this extraordinary seasoning is worth the wait. It’s salty, not bitter, and the purity of the sea salt flakes translates into a light sweetness that enhances the flavor of your favorite dishes. 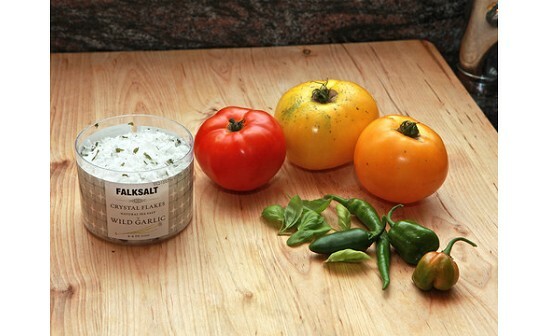 In fact, Falksalt’s flake salt is more flavorful than ordinary table salt, so you don’t have to use as much. It has less sodium, too. Falksalt is part of a family business that has been trading, producing, and refining salts in Sweden since 1830. Its natural flakes are 100% pure sea salt. The company also specializes in flavored sea salts including Citron, which pairs salt flakes with a citrus flavor that’s great for fish, vegetables, and pasta. The Rosemary blend adds a fragrant, pine-like flavor that’s ideal with grilled meats, potatoes, and bread, and Garlic enhances the salt flakes with the pleasantly pungent flavor of garlic.